Engine Yard has always been a great supporter of open source, the Ruby ecosystem, and Travis too. So today we’re thrilled to announce that Piotr Sarnacki is being sponsored by Engine Yard to work on Travis CI. 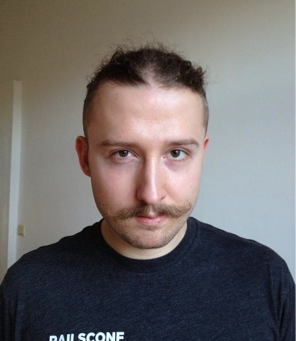 Piotr is a Rails contributor, he’s made Rails engines awesome and, depending on the angle, he looks a bit like Nicolas Cage. Engine Yard have been avid supporters of Travis already, having joined the ranks of sponsors during our Love campaign. Now they’re enabling us to push Travis further and bring more goodness to the open source community! With the sponsorship, Piotr joins the Engine Yard OSS Grant Program. Already, he’s built support for secure environment variables, allowing you to store important credentials in your .travis.yml securely. Recently, he’s been putting a lot of great work into our new user interface, now fully based on Ember.js. Expect a blog post on it very soon! Welcome to the team, Piotr. And thank you so much for the sponsorship, Engine Yard. We’re looking forward to seeing more goodness being shipped soon!